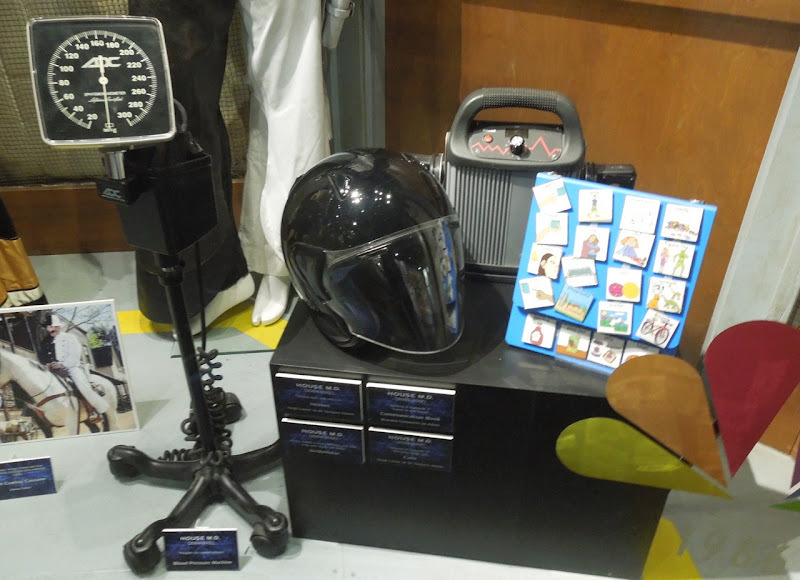 On my most recent visit to the NBC Universal Experience exhibit at Universal Studios Hollywood on February 7, 2013, I came across this eclectic assortment of props from the popular TV medical drama House M.D. Original props featured in House M.D. 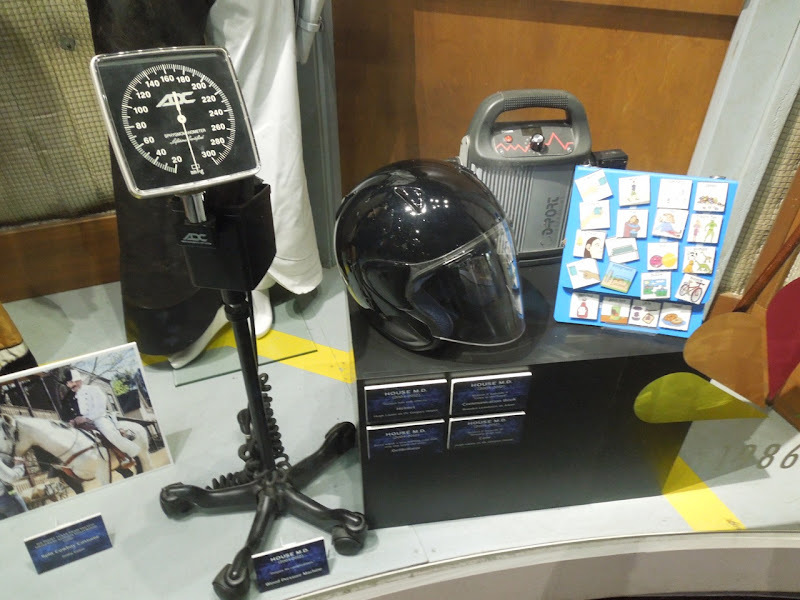 Included in the display was the motorcycle helmet worn in the series by Hugh Laurie as 'Dr. 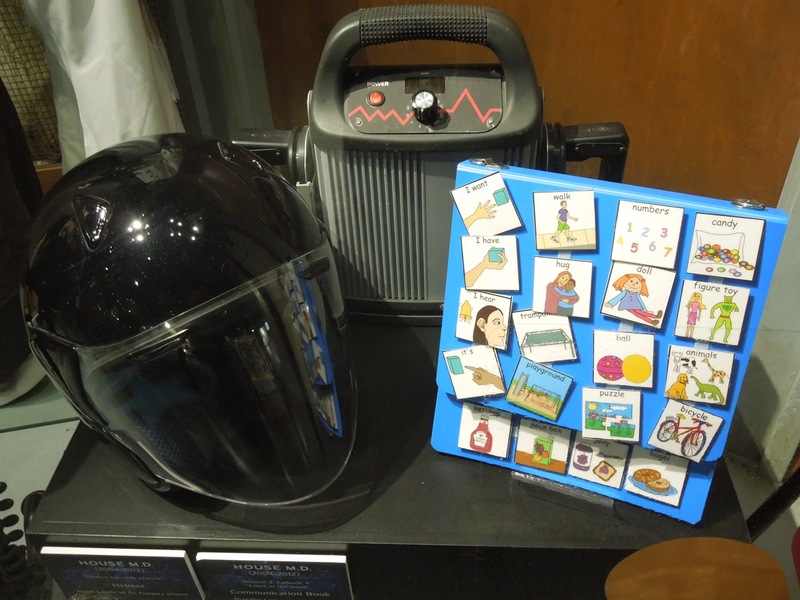 Gregory House', around which the eight season show revolved, plus a defibrillator and a communication book used in the third season episode 'Lines in the Sand'. 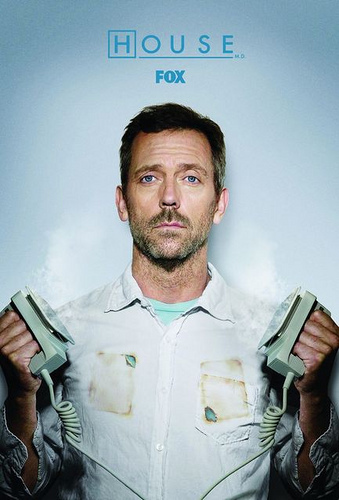 If you're a fan of the show, be sure to also check out these costumes worn by Hugh Laurie and Lisa Edelstein in House M.D. on display.